The new Health and Safety at Work Act came into force on this date, replacing the 1992 Health and Safety in Employment Act. All businesses need to understand the new law, and FTMA urges its members to take their health and safety responsibilities seriously. In the event of a serious or potentially serious incident WorkSafe New Zealand must be advised immediately. The new law does not require you to eliminate all risks in the workplace at any cost. That’s not realistic and not what WorkSafe New Zealand expects. What you need to do is identify work risks and take sensible and proportionate steps to eliminate or control them. 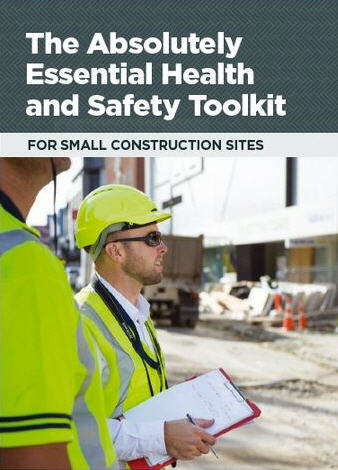 WorkSafe is also developing industry specific guidance material, approved Codes of Practice, fact sheets and online tools to help businesses identify good practice. Who is responsible for health and safety under the new law? The short answer is, everyone. From company directors and senior managers to the casual labourer, everyone has a role to play in keeping people safe at work. But obviously a casual labourer doesn’t have the same ability to influence how a job is undertaken, so they have different levels of responsibility under the Act. In general the primary duty of care will fall to the Person Conducting a Business or Undertaking (PCBU). That will usually be the business that is best placed to influence and control a risk. Read more about who is responsible for health and safety at work here – including when there is more than one business working on site at the same time. What's new under the Health and Safety at Work Act? The WorkSafe website has more detailed information, including a page of Frequently Asked Questions and Mythbusting about the new law. ​As an Association​ we’ve been represented on a WorkSafe working party, with a focus on occupational health risks that may cause long term damage to people working in the industry. This advisory group has been involved in the development of resources around the exposure to noise and dust, looking at the risks, the standards we’re applying, and the support and materials we need to provide to ensure our members operate in a healthy, safe workplace environment.